Hence, all people have rights as human beings before Allah the Almighty. Yet, they, before Allah, are distinguished by fearing their Lord, having faith, and adopting good morals. Moreover, Muhammad (Peace be upon him) was consistent in showing this clearly in his behavior and dealing with non-Muslims. He (Peace be upon him) observed people's rights in terms of good neighborliness, as he said: ““The best of companions with Allah is the one who is best to his companion, and the best of neighbors with Him is the one who is best to his neighbor”. The tradition included every neighbor, even if he was a non-Muslim. Islam not only gave non-Muslims freedom to retain their religion, but it also allowed them to practice their ceremonies and preserved their places of worship. The Prophet (Peace be upon him) prevented his companions from disturbing Christian clergymen in their hermitages, and he never assaulted a non-Muslim place of worship. His companions, and the caliphs after him, understood this meaning very well; so, they recommended their military leaders not to seize or demolish their places of worship. Also, Islam gave them the freedom to follow their laws related to marriage, divorce, and the like. Prophet Muhammad (Peace be upon him) received the revelation and applied it in the greatest manner, as he was ordered to be just with all people without looking to their status, race, religion or ancestry. They were all equal, even if the person who had a certain right was unfair to the Muslims; he would still be given his right. 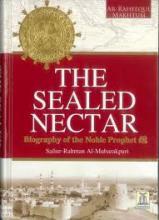 The Noble Qur’an ordered the Messenger (Peace be upon him) to rule fairly if Ahl al-Kitab (i.e. the Jews and the Christians) choose him as an arbitrator, “If you judge, judge in equity between them” (Al-Maida, 5: 42). 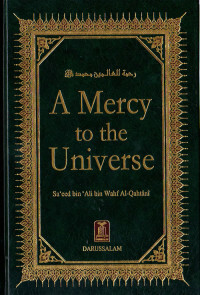 In more than thirty traditions, Prophet Muhammad (Peace be upon him) emphasized the right of al-Mu’ahad (the one who has a covenant with the Muslims), among which is the following: “Whoever killed a person having a treaty with the Muslims, shall not smell the smell of Paradise though its smell is perceived from a distance of forty years”. He also says, “Beware, if anyone wrongs a contracting man, or diminishes his right, or forces him to work beyond his capacity, or takes from him anything without his consent, I shall plead for him (the victimized) on the Day of Judgment.” He also says, “If anyone kills a man whom he grants protection prematurely, Allah will forbid him to enter Paradise.” Muhammad (Peace be upon him) prohibited torturing anyone, even if he did not adopt Islam. Therefore, he (Peace be upon him) forbade torturing any human being whether Muslim or non-Muslim. He says, “Allah the Almighty tortures those who torture people in this life”. Muhammad (Peace be upon him) also preserved and guaranteed the security of non-Muslims’ lives, wealth and honor in the Islamic community. So, no one is permitted to hurt them whether Muslim or not, as long as they residents of Islamic territories. The scholars of Islam explained kindness in the verse by saying: ‘It is mercy on the weak of them, giving money to the poor, feeding the hungry, dressing the poor, and talking kindly with them. This should be done in a merciful and gentle way and not in a fearful and humiliating way, tolerate bad neighbors - with the ability of removing it kindly but not fearfully or greedily. In addition, we should ask Allah to guide them and grant them happiness. Also, we should offer them advice in all aspects of their life and religious matters and guard them if anyone wants to harm them”. This good treatment is confirmed in the case of family relations, and it becomes obligatory in the case of parental relationship. Hence, Asmaa’ the daughter of Abu Bakr mentions the following and says, “My mother came to visit me at the time of the Messenger of Allah (Peace be upon him) and she was a disbeliever. So I consulted the Messenger of Allah, (Peace be upon him) and asked him, ‘My mother wants to visit me and expects me to treat her kindly; should I uphold the ties of kinship with my mother?’ He said, ‘Yes, uphold the ties of kinship with your mother”. Also, when the delegation of Najran, who were Christians, came to Muhammad (Peace be upon him)in Medina, they entered his mosque in the afternoon, and it was the time for their prayer. So, they started to pray in his mosque and the Muslims wanted to stop them but the Muhammad (Peace be upon him) said: ‘Let them pray’. So, they faced the east and prayed. Also, the mother of the believers ‘Aisha (May Allah be pleased with her) said: “The Messenger of Allah (Peace be upon him) passed away and his shield was pledged to a Jewish man in exchange for thirty measures of barley, and this was for the expenses of his (i.e. 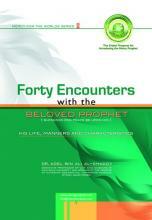 the Prophet (Peace be upon him) children”. Thus, Muhammad (Peace be upon him) ordered the Muslims to take care of Ahl adh-Dhimma (the Jews and the Christians) who live among them. So, if any non-Muslim needs money, they should provide him, as the state is responsible for the poor; including Muslims and Ahl adh-Dhimma. The state is responsible to provide suitable living conditions for them and for all those they are responsible for, because they are citizens in an Islamic state. Muhammad (Peace be upon him) said, ‘You are all guardians, and each of you is responsible for those in his trust'. When the second caliph ‘Umar was in Al-Sham and he passed by a group of Christian people who were suffering from leprosy, he ordered that they be given alms and food. Muhammad (Peace be upon him) made a covenant that the non-Muslims can work and earn in Muslim countries; by working for others or for themselves, in addition to having any career they choose and economic activities. Their state is equal to that of the Muslims, and they have the right to buy and sell and deal with society. They can also have financial dealings, but should avoid usury. They have the right to deal with anything except for usury and buying and selling wines, pigs, and anything that is harmful to society and which Islam has prohibited. Islam banned these things because of the damage that results either on them or upon their community. They also enjoy other freedoms in terms of possessing goods and manufacturing crafts and other items.